Many dogs are worried about loud and sudden noises such as fireworks or thunderstorms. Sometimes very mild medication - Valeriana, Zylkene or Bach flower mixtures are sufficient to relax a nervous dog, but in many cases this is not enough. Last autumn a new medication was launched, which seems to work very well. After the New Year fireworks the vast majority of owners have given us a very positive feedback. Most dogs show none or very little signs of sedation, but at the same time no or very few signs of fear or nervousness. Please let us know if you would like to get further information about this medication. On week days we are happy to arrange appointments for home visits. It is important to point out that in most cases – especially in emergencies, home visits are not very useful. Apart from a clinical examination we can perform very few tests or emergency measures at home. 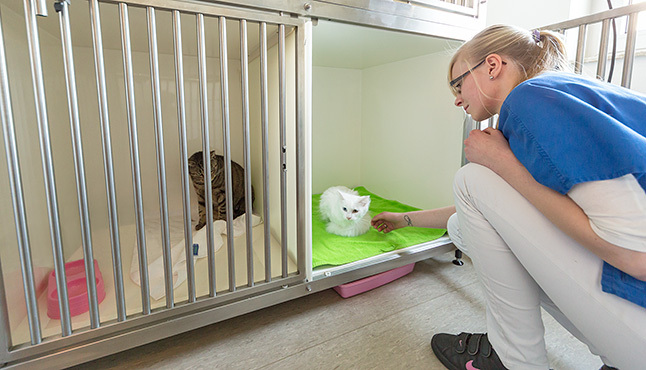 However, if we a house visit makes sense, we will certainly come out to you, for example to first vaccinations of litters – or when it is time to say good bye. You will understand that home visits are more expensive than consultations at the practice, depending on the distance we have to drive and on the time we need. 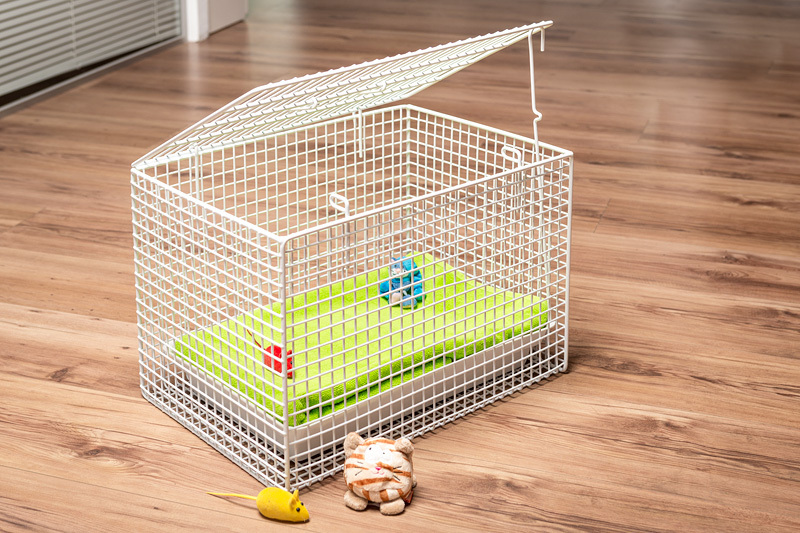 Cats and small pets should be brought to the practice in a closed transport box to prevent them escaping and to make sure they are safe from other animals in the waiting room. If you haven’t got the right box or if your cat has decided never to set foot in your own box again, you are welcome to borrow one from us. There is no problem to put even the unhappiest cat into one of our boxes! Non-prescription medication and grooming products can be bought at our reception during normal surgery hours. Drugs that are available on prescription can only be obtained after a veterinary consultation. In cases of acute disease we will give you the necessary amount of medication during the consultation. Should your pet need long-term medication, for example in case of heart disease or epilepsy, you can get repeat prescriptions at our reception for a certain amount of time, which will depend on the individual situation of your pet. By law, we are not allowed to give out medication without a repeat visit for more than six months. To prevent problems, we advise that you contact us a few days before the medication actually runs out. We can then make sure that your repeat prescription is ready for collection at reception and avoid unnecessary delays for you. The same applies to prescription diets and other food items. Due to our limited capacity for storage, we do not have all types of food at the practice at all times, but can easily order it in for you within very few days. Our charges are made according to the German Tierärztliche Gebührenordnung (veterinary fee schedule, GOT). With non-prescription medication or food we follow the retail price recommendations of the producer. Depending on your preferences we are happy to accept pay in cash or by debit card. Of course we will provide you with a detailed invoice. Your cat needs a CT? Your rabbit has got a complicated fracture? Your Bernese mountain dog needs a dental implant and your Border Collie suffers from pyruvate kinase deficiency? No practice can offer the full range of options available in small animal medicine today. What to do? We co-operate with many colleagues both in Germany and internationally and can always find somebody with whom to discuss your case or to whom we can refer your pet to. On the other hand we also get patients referred from colleagues for diagnostic procedures or certain treatments or operations. This good co-operation with other colleagues ensures that your pet can get the best possible health care. Together, we have been developing our small animal practice since 2009. Born 1964 and growing up in a veterinary practice in the district of Northeim, I followed in my father’s footsteps and after passing my A-levels became a veterinary technician and insemination technician for cattle and pigs. Even back then I enjoyed my job that requires resistance to all sorts of weather conditions and odours. My next step was studying veterinary medicine in Hanover, where I met my husband and my future colleague. I gave talks to breeders for a pet food company and worked in several large and small animal practices as a locum before setting up a small animal practice in Moringen in 1999. The first ten years I worked as a single vet, then I founded our practice with my colleague and friend Andrea and would not want to miss the cooperation, the mutual inspiration and the fun any more.